Tom Vigil was Chairman of the Board of First Nations Development Institute from 1982 through June 2016, and was named Chairman Emeritus upon his resignation from the chairmanship and the board in June 2016. He participated in conceptualizing First Nations, and was actively involved since its actual founding in 1980. First Nations – from inception and throughout his chairmanship – has advocated for and fought for the basic rights of Indian people, and more recently added specialized assistance along with that of its subsidiary, First Nations Oweesta Corporation. 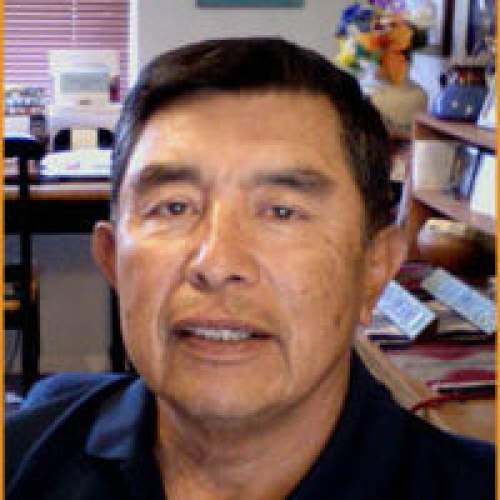 Mr. Vigil’s involvement and interest in the creation and direction of First Nations sprung directly from his involvement and work to implement “Indian Self-Determination” or “Indian Sovereignty” during the Nixon and Ford Administrations in the early 1970s. He worked under Indian Affairs Commissioner Morris Thompson in the conceptualization and formulation of “Indian Sovereignty” in its infancy, and traveled the country to explain its meaning to Indian tribes. That movement has led to Indian self-governance, government-to-government relationships, asset and natural resources control and management, and to practical development of business activities such as resorts and gaming. Since 1983, Mr. Vigil has been successful in private business ownership and management, primarily in the lodging, food service and gaming industry. These business operations were conducted through several corporations and LLCs and included activities in development and consulting. His consulting has assisted tribes in instituting tribal governmental structures and systems, and in adopting private business principles and applying them on reservations as a development strategy. Some of the noteworthy positions Mr. Vigil has held include Coordinator of Planning for the City of Los Angeles; White House (President’s Reorganization Project); and the U.S. Departments of the Interior and Health and Human Services (generally as a policy advisor). He has served on numerous boards, including the New Mexico Hotel and Motel Association (serving twice as its Chairman and President), New Mexico Economic and Tourism Commission, New Mexico Association of Commerce and Industry, and the National Advisory Board of Northern Arizona University’s School of Hotel and Restaurant Management. Mr. Vigil holds a B.A. degree in economics from New Mexico Highlands University, and an M.A. degree in management from the University of Southern California. Read our newsletter story about Mr. Vigil here.